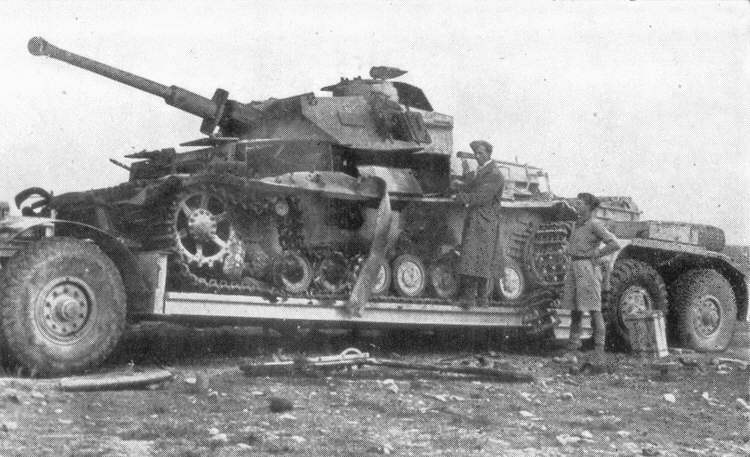 This picture shows a Panzer IV that had been abandoned during the German retreat in North Africa in December 1942. This tank is probably a Panzer IV Ausf F2, the first model of the Panzer IV to be equipped with the long gun. The date of the picture limits the model to either the Ausf F2 or Ausf G, while the style of the muzzle brake and the presence of the vision port to the left of the open turret hatch are most common on the Ausf F2.